Meet Larry Legs Eleven the Lurcher! 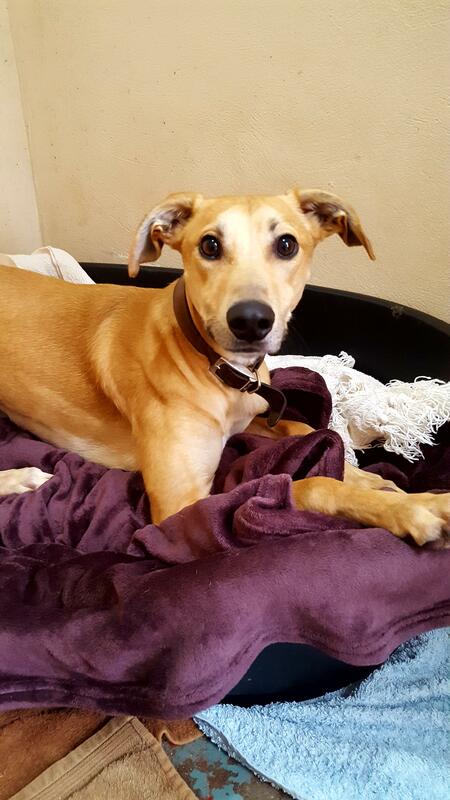 Larry is approximately 2 years old and looking for a new home. Only a youngster and full of life and fun. We have no previous history on Larry as he is an unclaimed stray. He is great with other dogs and loves people. A Home without cats please. Larry would love the company of another dog but can be homed on his own. He’s very inquisitive and loves being involved. Children 5years plus. We aren’t sure how Larry would cope with being left home alone so please consider this as patience and time may be needed for him to adjust. We feel he would be better suited with someone who wouldn’t have to leave him, at least initially. He has been very clean here and so far hasn’t chewed anything. Larry is a vocal boy – when playing in particular.